Summer is here but is your skin ready? I deal with dry skin all year round and in the spring or early summer I like to use a exfoliating body scrub. The exfoliating body scrub I would like to tell you about today is made with dead sea salt and natural oils. One of my favorite brands to use is Adovia, because it is made with ingredients that will help my skin shine and are animal cruelty free. 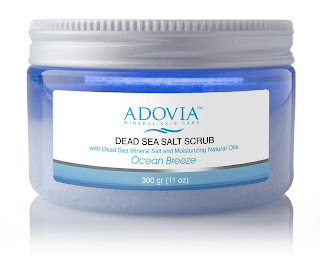 I personally have a bleeding disorder so I don't scrub really hard on my legs, but I do scrub my feet with Adovia to keep the dead skin away. The scent is amazing. Like I am right near an ocean. I think this is what I love most about Adovia. The scents are really that amazing. You can purchase Adovia's exfoliating body scrub on Cleopatra's choice, Adovia spa or on Amazon. What Go Pure Naturals has to say about their product. Disclosure: MarksvilleandMe received one or more of the products mentioned above as part of a promotion with Brandbacker and Go Pure Naturals. Regardless, MarksvilleandMe only recommends products or services we use personally and believe will be good for our readers. Some of the links in the article may be “affiliate links.” This means if you click on the link and purchase the item, I will receive compensation. If you would like MarksvilleandMe to review a product or service please contact us at marksvilleandme@gmail.com. 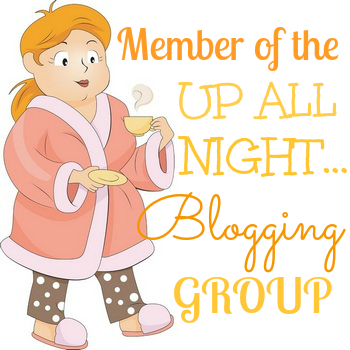 Blogger Opp ~ The Summertime Giveaway with Ohuhu! 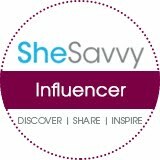 Deliciously Savvy is Hosting a Giveaway for 1 Lucky Winner To Receive All of the Items Listed Below! A $140 RV! 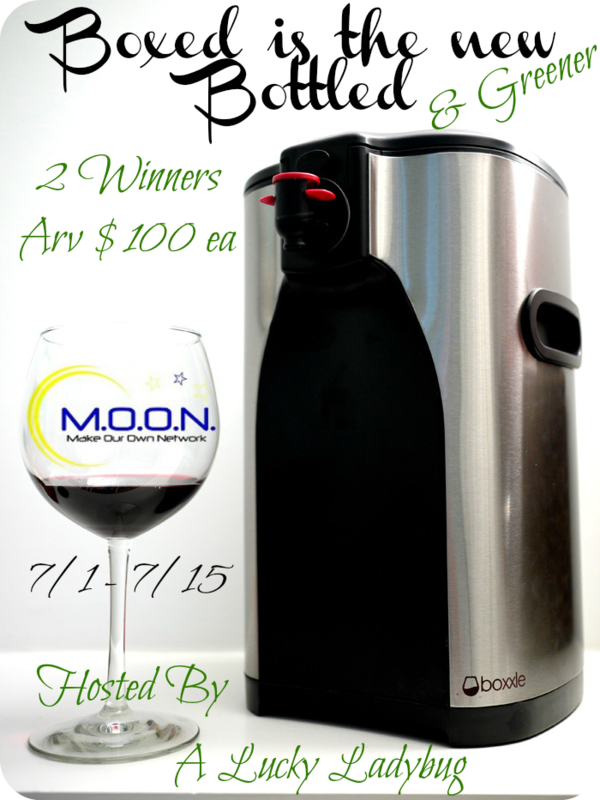 Check the items out below and join me in promoting This Fun Summer Giveaway! 1 LUCKY WINNER Gets $140 In Products And Maybe More! If you have any prizes that would be a good fit please let me know and I will give you a co-host if you do the review. I will have an additional entry for you for entrants to make a comment on your review. Email me at mcushing7@hotmail.com with details. This Premium Waterproof Fitted Mattress Protector Pad is Velvety-Soft, Perfectly Fitted, and Hypoallergenic! This socially conscious sponsor is dedicated to making the world a better place. In fact, Love My Crib not only has offered one reader the opportunity to win one of these beautifully made pads but also made a donation to help stop bullying when they sent me my awesome pad for review. Because whether the product is sold or given away for review they make a donation! How Great Is That! I'm going to give away the fact that I'm no spring chicken and let you know that after I was done washing our clothes by beating them on a rock and hanging them on a tree limb to dry - I would put the mattress protector on the crib to protect it from any accidents that would occur. Back then it also worked as an alarm to let you know when the baby made the slightest move because it crinkled loudly. premium waterproof fitted mattress protector from Love My Crib as I was curious about how much things had changed. When this pad arrived I checked it out ans saw that stitching was straight and tight, the material felt strong, and I was amazed at how soft and quiet it was. I knew right away that it would make the perfect baby shower gift for the next one that is due in a few months. I received this product in exchange for my honest opinion. Every baby deserves a super soft and comfy bed and what better way then with Love My Crib Premium Waterproof Fitted Mattress Protector Pad Cover MarksvilleandMe wishes everyone who enters Good Luck! Disclaimer: PaulaMS' Giveaways, Reviews, and Freebies nor any blog promoting this giveaway, is not responsible for the awarding of the prize. Sponsor is responsible for prize fulfillment. Disclosure of Material Connection: Paula received the above product for free to facilitate the writing of her review. Some of the links on this post are affiliate links. This means if you click on the link and purchase the item, I may receive an affiliate commission. Regardless, she only recommends products or services she uses personally and believe will add value to readers. I am disclosing this in accordance with the Federal Trade Commission’s 16 CFR, Part 255: Guides Concerning the Use of Endorsements and Testimonials in Advertising. The vintage Edison light bulb offers a romantic and eye-catching lighting option. It's perfect for use in lamps where the bulbs are visible, or use for historic restorations, museum displays, or period applications. Each bulb illuminates with a warm yellow glow, filling any space with the utilitarian ambiance reminiscent of the original tungsten filament bulbs of the 20th century, maintaining a longer lifespan than today's typical household bulb. These are some of the most mesmerizing lights I've owned. If you are looking for a way to make a statement these are the bulbs to do it. Just add them to any fixture that the bulb is visible and you have instant WOW! The glass that these bulbs are made out of is substantially thicker than that of a regular bulb. These would look great in your sconces by the front door or beside a mirror. My Mom loved them and informed me that she has a Tiffany style hanging light that she wants me to put some in for her. I am very pleased with the quality of these well made bulbs. These are great for chandeliers or pretty much any lighting product you would like to have the Edison look in. MarksvilleandMe wishes everyone who enters Good Luck! Vintage Edison Lights Giveaway Disclaimer: PaulaMS' Giveaways, Reviews, and Freebies nor any other blog promoting this giving, is not responsible for the awarding of the prize. Sponsor is responsible for prize fulfillment. 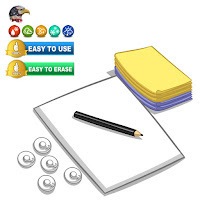 Disclosure of Material Connection: Paula received the above mentioned products for free to facilitate the writing of her review. 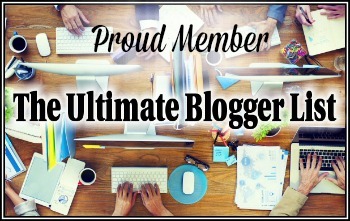 Some of the links on this blog are affiliate links. This means if you click on the link and purchase the item, I may receive an affiliate commission. Regardless, I only recommend products or services I use personally and believe will add value to my readers. I am disclosing this in accordance with the Federal Trade Commission’s 16 CFR, Part 255: Guides Concerning the Use of Endorsements and Testimonials in Advertising. I have been looking for the perfect bottle to keep my homemade citrus cleaner in. What I do it fill a container with orange peels, Our family eats a lot of oranges so for us this does not take long but you can use any citrus peels and mix it up in any fashion you like. Next I pour enough vinegar to cover the peels and let sit for a few weeks or more. I then pour the liquid off of my oranges into my bottle. 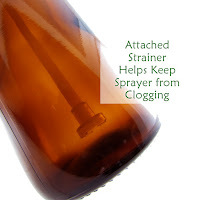 I like to strain my liquid first but with the Amber Glass Spray Bottle by Emmi's Essentials I don't have to worry as much because it has a built in strainer attached. My whole family can find the citrus cleaner fast now that I have a special bottle just for it. Simple ingredients for a great cleaners. Gotta love it. The best part is I can compost the orange peels when I am all done with them. You can purchase the Amber Glass Spray Bottle by Emmi's Essentials on Amazon. What Emmis Essentials has to say about their product. 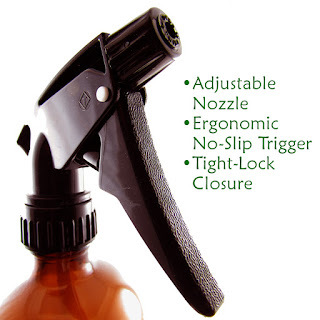 ~ QUALITY ADJUSTABLE SPRAYER ~ Quality sprayer won't break after just a few uses. Designed with an ergonomic, no-slip trigger, the bottle stays firmly in your hand. ~ PERFECT SIZE ~ 16 oz bottle makes enough solution to keep from constantly refilling. Not too heavy and fits comfortably in your hand. 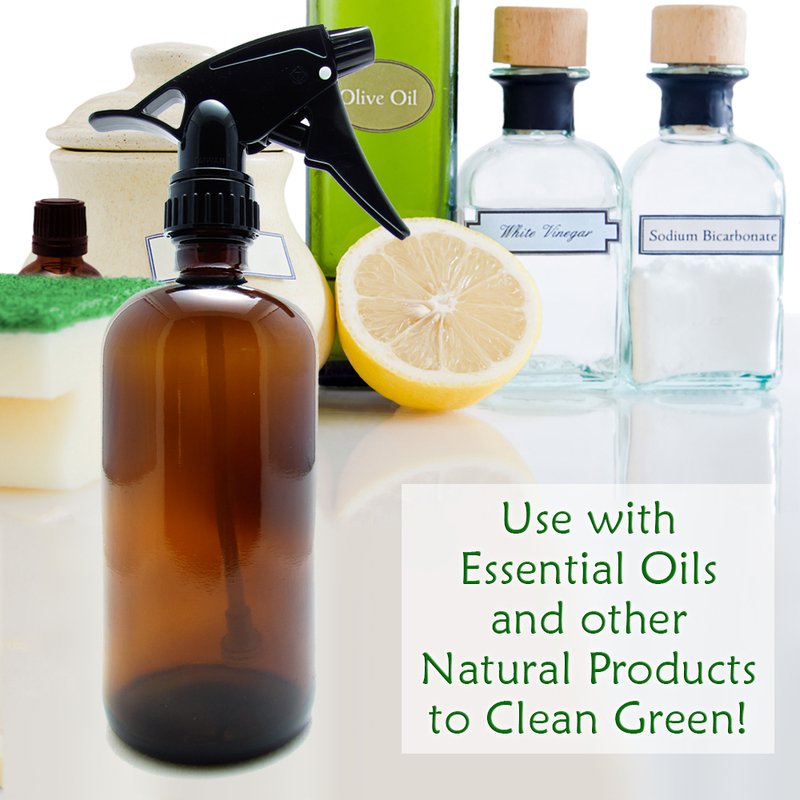 Perfect to use with Emmi's Essentials Tea Tree Oil or Peppermint Oil (sold separately). ~ REUSABLE ~ Help protect the environment and save money by reusing this bottle over and over again. Mix up sanitizing sprays and window cleaners for the kitchen. Tub and shower cleaners for the bathroom. And non-toxic bug spray and air freshener...the list is limitless! ~ BONUS ~ As a big thank you, you get our exclusive DIY Green Cleaning Essentials guide complete with household cleaning recipes created just for use with our 16 oz Amber Glass Spray Bottles ~ guide will be sent after purchase. 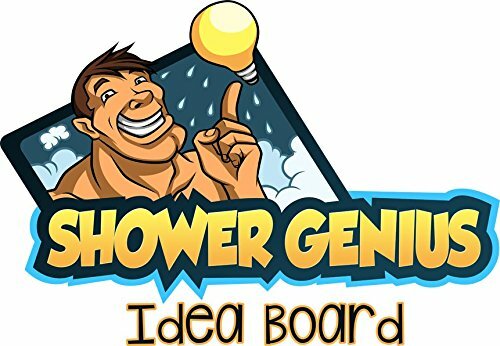 Have you ever been in the shower when a great idea comes to you and by the time you get out of the shower you totally forget that idea? 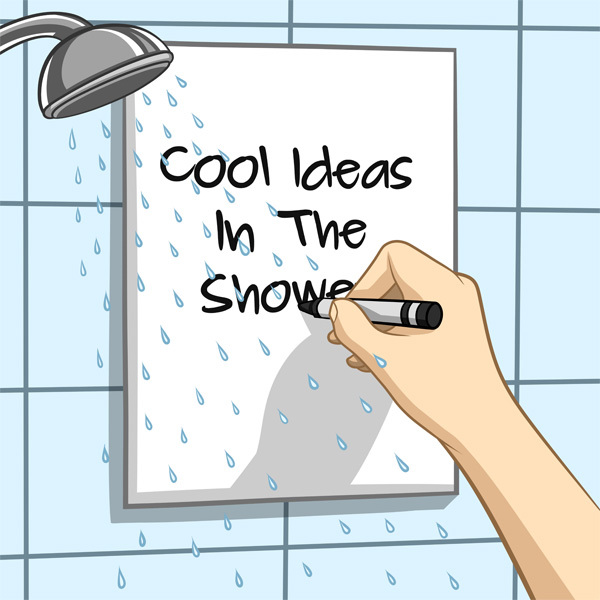 Well know you can have a place to put your ideas so you can act on them after the shower. 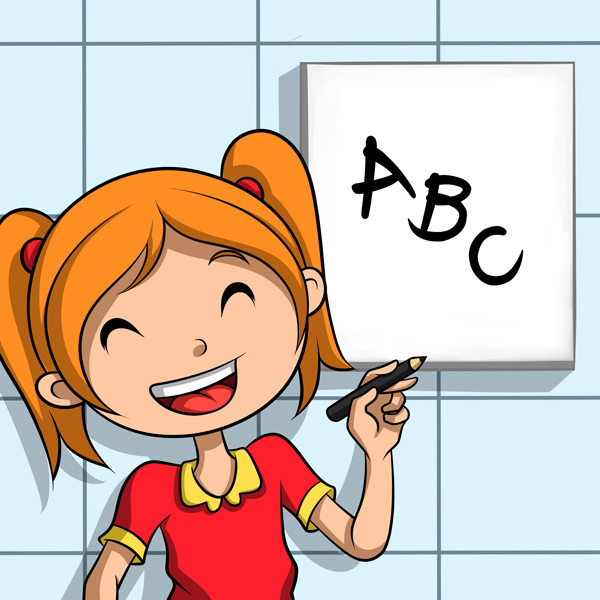 Also great for children while they are taking a bath, they can draw, practice their letters, spelling etc. I keep mine on the wall where my shower head is so that the water doesn't splash on it so much so I can read my chicken scratch more easily when I jot the ideas down on my to do lists. This can also be a great place to remind you what needs to be done for the day. Just write your list on the board the night before and in the morning when you are showering you will have your updated list for the day reminding you of what needs to be done. You can purchase the shower genius idea board on Amazon. With summer here and people getting more involved in outdoor activities, it's time to think about joint health. 1 FREE Link with Announcement and 1 FREE Link for Posting the Giveaway no later than July 5th. Paid Options: Any Additional links from the Free Link Options Above, Daily Votes, Page Visits, Retweets, and Blog or Facebook Comments are $1 each or 3 for $2.50. As my Saint Bernard ages she seems to have a little more stiffness in her joints so I try to give her some relief by providing Joint Supplements for her. I like that this is a liquid I just mix it in with her wet food and she gobbles it right up. If she didn't then my husband would do it the old fashioned way. He is really good with giving our animals their medicine. I am just glad that their are companies out there that make products that help me give my dog the best life she can have. She is a good dog and one that I want to live out her life to the fullest. I really like that each purchase gives back to animals in need. 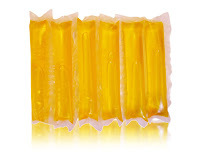 You can purchase Glucosamine Joint Supplement for Dogs on Amazon. What K9z Rule has to say about their product. 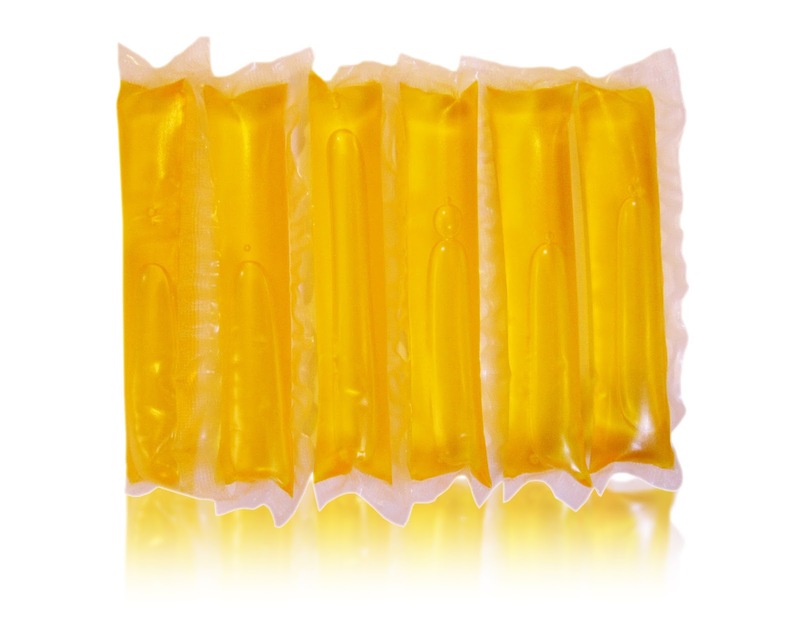 K9 Joint Relief is a Veterinarian Recommended, superior quality, all natural hip and joint supplement. 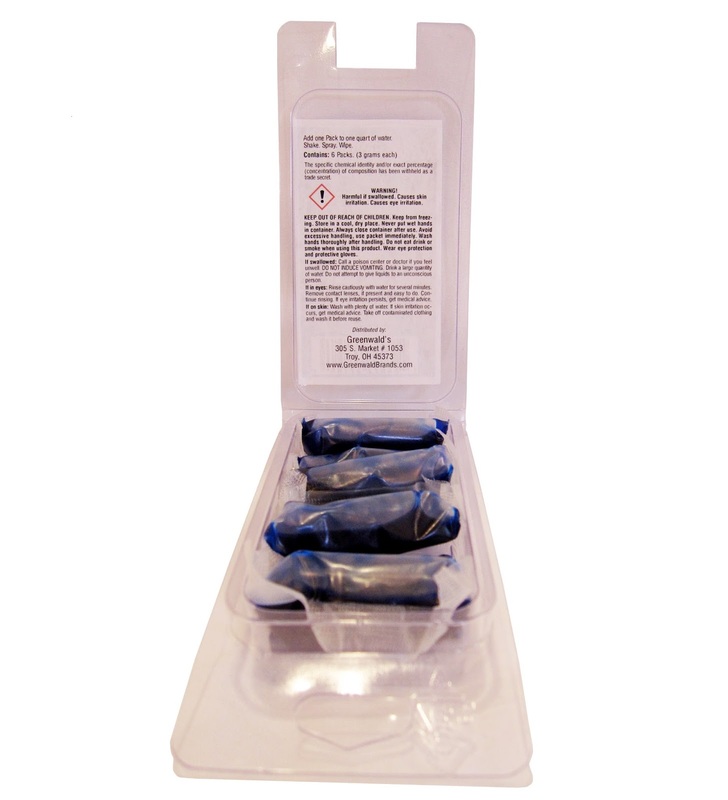 It’s manufactured in the U.S. in a state-of-the-art FDA approved facility under strict quality assurance guidelines. All ingredients are sourced in the U.S.
We use a highly palatable liquid formula because liquid supplements have been shown to have a higher absorption rate than pills or capsules. It’s also simple to use: just pour it over wet or dry dog food or mix it in with their drinking water. We donate 5% of the proceeds from each sale to organizations that rescue and care for homeless dogs. Disclosure: MarksvilleandMe received one or more of the products mentioned above as part of a promotion with Tomoson and K9z Rule. Regardless, MarksvilleandMe only recommends products or services we use personally and believe will be good for our readers. Some of the links in the article may be “affiliate links.” This means if you click on the link and purchase the item, I will receive compensation. If you would like MarksvilleandMe to review a product or service please contact us at marksvilleandme@gmail.com. We have 5 cats and 1 dog and sometimes with having pets accidents happen, sometimes more then others. We have dealt with a male cat that kept spraying my youngest daughters clothes and most times we wouldn't even know it till she got to school and the clothes had warmed up and started letting the smell emanate. 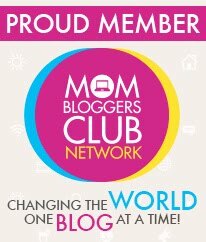 It was a rough time because it was embarrassing for my daughter and made me feel like a bad mom. Finally we have the male cat so he doesn't spray her clothes at least for the time being, but it took a while to get all of the clothes together that had been sprayed. 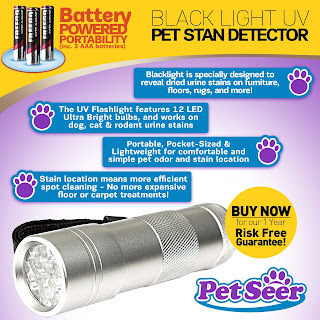 I wish we had had this PRO UV Blacklight Pet Urine Detector when we had the problem sure would have cut down on how much laundry we had to do. Easy to use and even comes with the batteries needed to get it working right away. 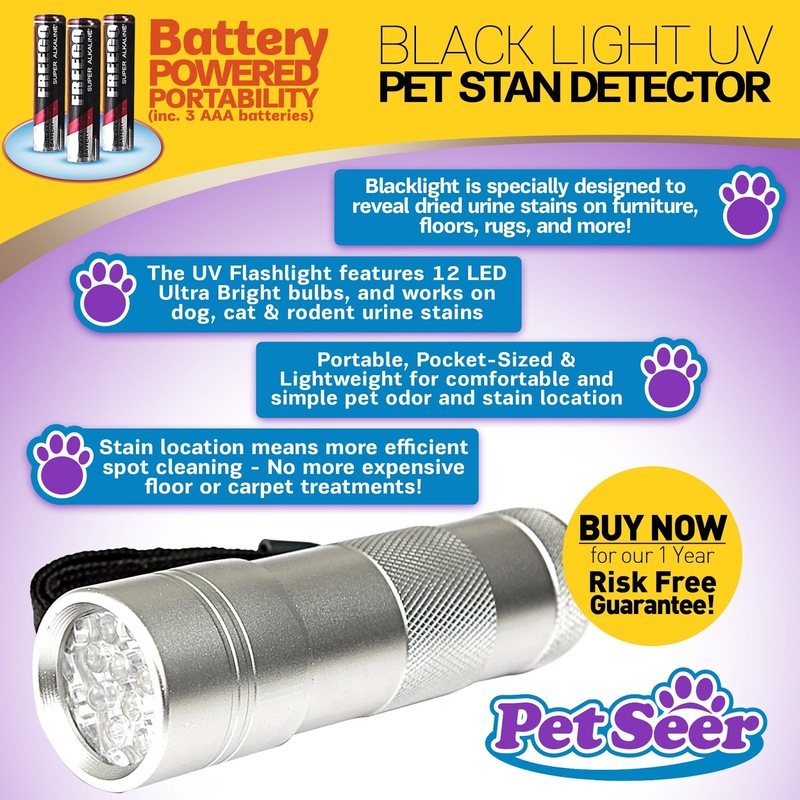 You can purchase the PRO UV Blacklight Pet Urine Detector on Amazon. What PetSeer has to say about their product. 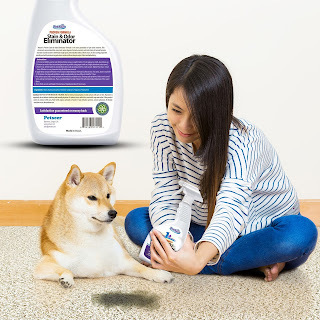 Locating a hidden pet urine stain can be a frustrating and tedious job, especially when the visible evidence is gone and only an odor is left behind. 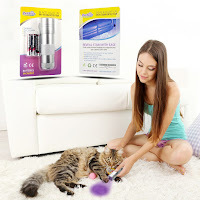 The Pet Urine Stain Detector Flashlight uses specially designed UV Blacklight Bulbs to reveal dried and hidden pet stains which are normally hidden from the naked eye, making this job easier than ever. The portable, pocket-sized flashlight allows for searching from a standing position, so you can more comfortably locate stains. It works on stains from dogs, cats, hamsters, rabbits, and more. Not only does the flashlight save you time, but with more efficient stain location and spot cleaning, it saves you from spending hundreds of dollars on enzyme procedures and other expensive floor treatments. The flashlight is battery powered with 3 AAA Batteries (included) and works on all surfaces such as furniture, floors, rugs, beds, and much more. Your purchase comes with Risk Free, 1 Year Guarantee! Disclosure: MarksvilleandMe received one or more of the products mentioned above as part of a promotion with Tomoson and Petseer. Regardless, MarksvilleandMe only recommends products or services we use personally and believe will be good for our readers. Some of the links in the article may be “affiliate links.” This means if you click on the link and purchase the item, I will receive compensation. If you would like MarksvilleandMe to review a product or service please contact us at marksvilleandme@gmail.com. 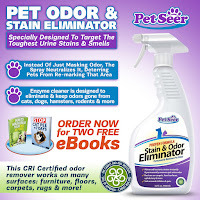 One of PetSeer's products I like the most is the Pet Odor & Stain Eliminator to help keep my house smelling fresh even after one of our pets has had an accident. Works quickly and efficiently. Takes care of the problem the first time instead of having to use it over and over again to get the results you need. Pets are wonderful to have but sometimes they leave stinky messes that need to be cleaned with PetSeer products you can get the job done. You can purchase Petseer Pet Urine Odor Eliminator Enzyme Cleaner on Amazon. Everyone loves their pets, but nobody likes cleaning up after them. Thankfully our Pet Odor and Stain Eliminator is here to make cleaning up even the toughest pet urine stains a breeze. 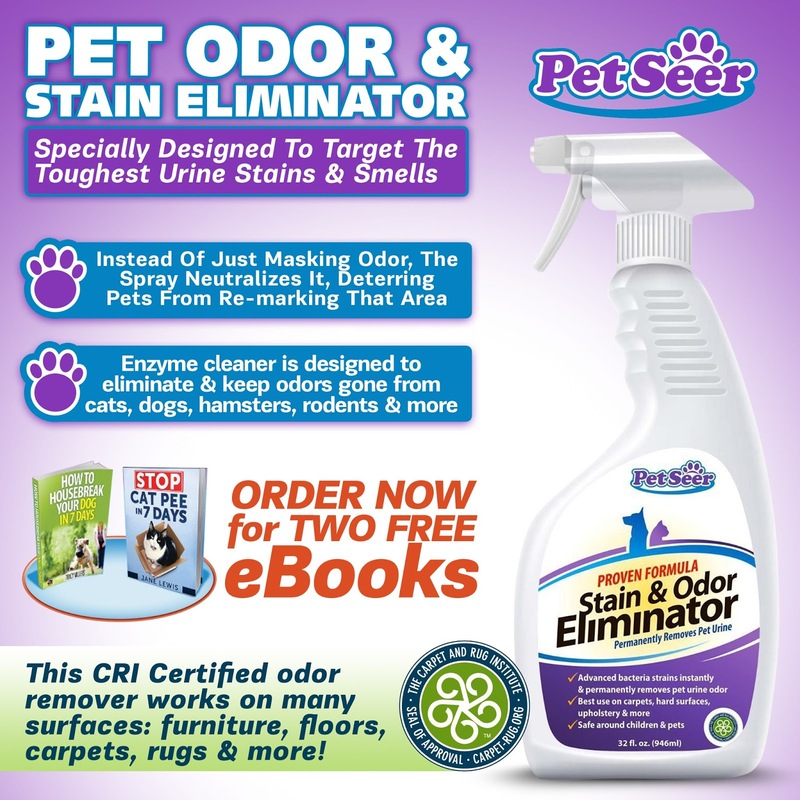 Specially designed to not just mask the odors from urine stains, but to completely neutralize them, the Odor Eliminator spray actually deters pets from re-marking the area. The Easy Trigger spray system makes application simple, and works great on many surfaces such as furniture and upholstery, carpets, rugs, hardwood floors, and many more. This cleaner is CRI Certified and can be used for stains and odors from dogs, cats, hamsters & rodents, and many other pets. Your Order also comes with two eBooks: "How to Housebreak Your Dog in 7 Days" and "Stop Cat Pee in 7 Days". This was actually the first Greenwald's product I tried out. Probably because there are so many windows, mirrors, and other surfaces to clean in our home. Like other Greenwald products this was just as easy to mix, use, and store. I can not say enough how glad I am to be able to save on shipping and also put less garbage in the landfills. 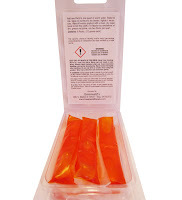 The products are recyclable so when you are all done everything just goes in the appropriate bin. This is the kind of product I want to see more of in the future. I can't wait to try out some of their other cleaners and products in the future. 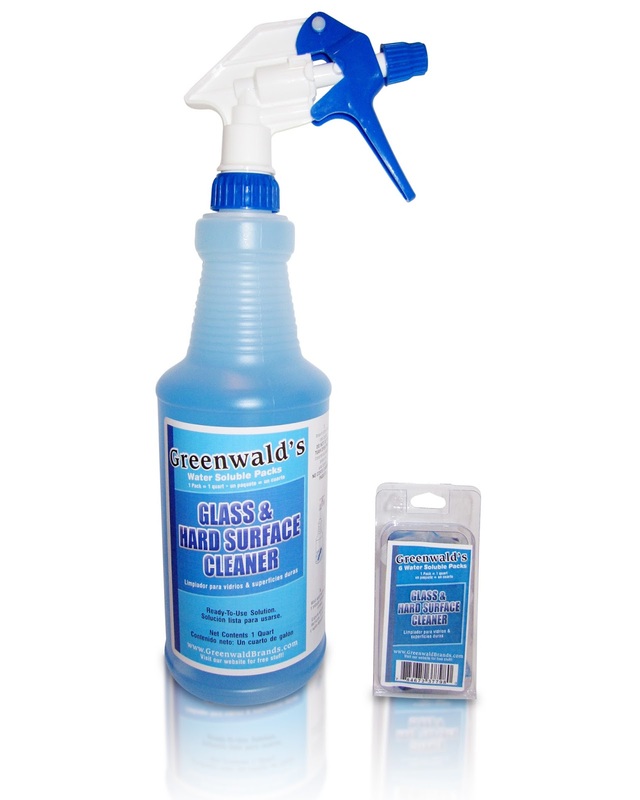 You can purchase Greenwald's Glass & Hard Surface Cleaner on Amazon. What Greenwald's has to say about their product. 1. It's more powerful than the average cleaner purchased and discount stores. It doesn't leave film or haze and gets rid of water spots and other glass & hard surface buildup. 2. It saves money. Because when purchasing either the kit or the refills (note: this promotion is for the "kit" that also contains a 6 pack of refills) it's 30-70% less than competing products. 3. It saves a ton of space. Each dissolvable refill makes a 32 ounce spray bottle and each refill fits in the palm of your hand. You can store gallons of cleaner refills in the size of a cigar box. You can store an entire arsonal of cleaners in a drawer. It frees up cleaner closet or under the sink space. 4. It environmentally friendly from the standpoint that you're not purchasing a new plastic bottle every time you need a new bottle of cleaner. 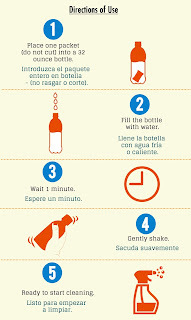 You recycle the existing cleaner bottle that you have. This means less plastic bottle trash (5 times less or more) that goes to local landfills let alone less trash you deal with. Disclosure: MarksvilleandMe received one or more of the products mentioned above as part of a promotion with Tomoson and Greenwald's. Regardless, MarksvilleandMe only recommends products or services we use personally and believe will be good for our readers. Some of the links in the article may be “affiliate links.” This means if you click on the link and purchase the item, I will receive compensation. If you would like MarksvilleandMe to review a product or service please contact us at marksvilleandme@gmail.com. 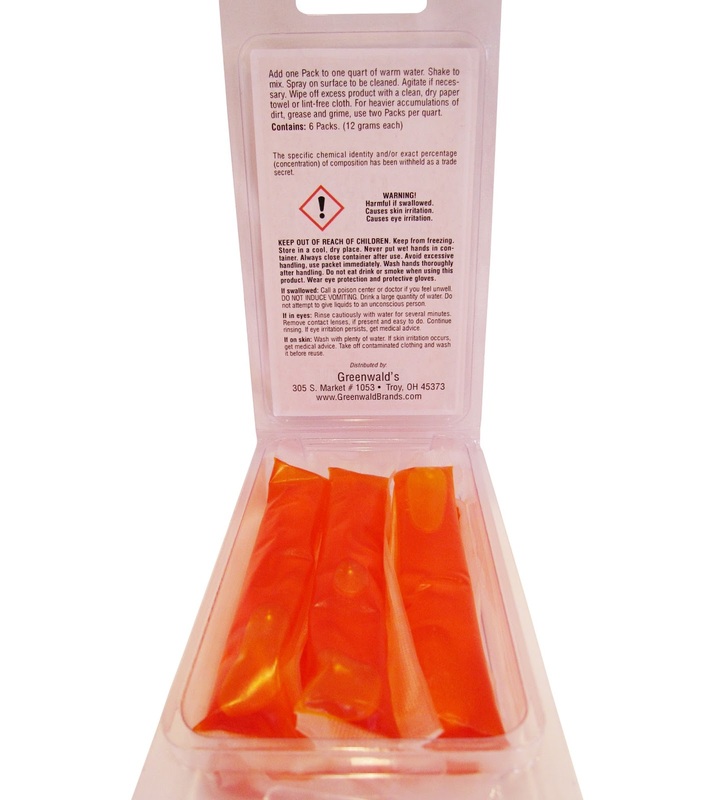 Citrus Cleaners are one of my favorite kind of cleaners to use mainly for the scent alone. I really like that Greenwald's has thoroughly thought out their selling plan from recyclable materials to lower shipping costs. Make me and the Earth very happy. 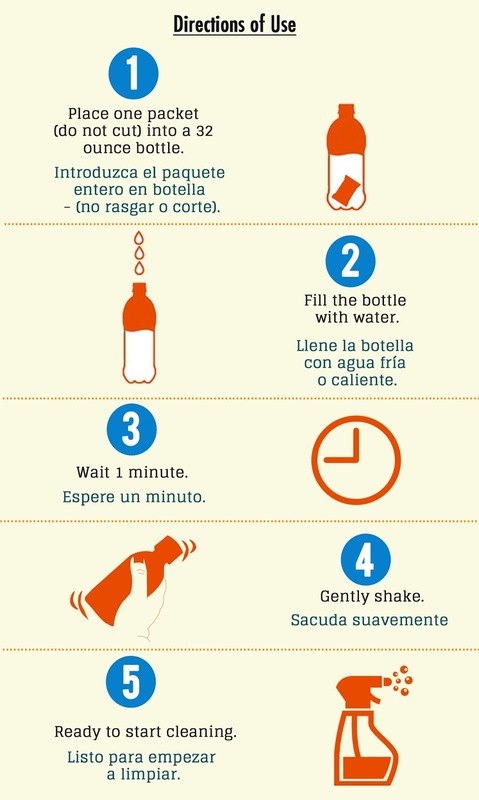 Easy to mix all you have to do is drop a water soluble pack in the bottle, fill with water, let sit about a minute, shake, and you are ready to use. Oh the scent is wonderful and leaves everything you use it on clean and fresh. Love it. 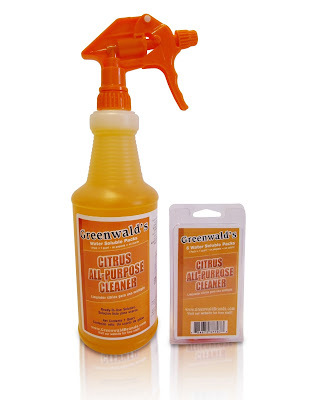 You can purchase Greenwald's Citrus All Purpose Cleaner on Amazon. 1. It's more powerful than the average cleaner purchased and discount stores. It removes the toughest dirt & grease while leaving a light fresh citrus scent. 3. It saves a ton of space. Each dissolvable refill makes a 32 ounce spray bottle and each refill fits in the palm of your hand. You can store gallons of cleaner refills in the size of a cigar box. You can store an entire arsenal of cleaners in a drawer. It frees up cleaner closet or under the sink space. 4. It's environmentally friendly from the standpoint that you're not purchasing a new plastic bottle every time you need a new bottle of cleaner. You recycle the existing cleaner bottle that you have. This means less plastic bottle trash (5 times less or more) that goes to local landfills let alone less trash you deal with. When I received the Greenwald's Carpet & Fabric Stain Remover for some reason I missed the part about there being enough of the concentrate to make 6 bottles. This made the price go from a bit expensive to more economical. The cleaner comes in a box with a empty bottle, trigger, a material safety date sheet and 6 water soluble packs. This brings down shipping costs to ship 6 full bottles, and also keeps 5 extra bottles with triggers out of landfills. A win for everyone. Super easy to mix, drop a water soluble pack, fill with water ( I suggest warm water), wait 1 minute, shake and then you are ready to clean. The trigger has a on and off switch which is nice for storage. Not many companies send a MSDS which you have to have if you run a business or are required to have one on hand for other reasons. Great to have on hand incase of poisoning. You can purchase Greenwald's Carpet & Fabric Stain Remover on Amazon. 1. It's more powerful than the average cleaner purchased and discount stores. It works deep to remove the toughest stains from carpet, fabric and upholstery.